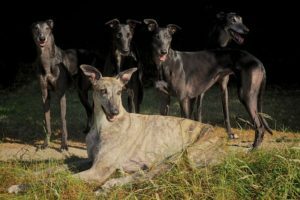 Raise awareness about the plight of greyhounds bred for racing. Campaign for the abolition of commercial greyhound racing. In addition to the above and resources permitting, AFG facilitate the care and future security of greyhounds unwanted and abused. To this end, both dedicated foster and forever homes are needed for greyhounds rescued. The general public to NEVER attend or bet on greyhound racing, so the industry fades away through lack of support.